Millennium 7 Publishing Co.: Finding YOUR 'Warm' Ecommerce Customers? 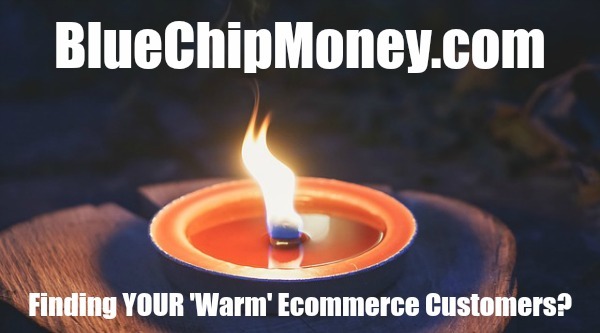 Finding YOUR 'Warm' Ecommerce Customers? 4 Simple ways to use social media to find 'warm' ecommerce customers.. These 'warm' customers are just like GoldiIocks -- interested in the porridge that's 'just right.' They're also exactly the people you want to target. Related Article: Maximize YOUR Social Media Conversions? Back in the good old days, businesses drove commerce by buying ads in the local newspaper, renting space on a billboard or calling people out of a phone book. Customers came to a physical storefront to do their shopping, and each business had a very limited geographical sphere that it worked in. What a different world we have today: Many businesses don't have a physical storefront or even see their customers. They sell to people all over the planet, and instead of buying ad space in the local paper, they compete for SEO rankings. As the world of commerce continues to change, the role of social media in that world has only become bigger. The average person in 2018 spent 45 minutes on social media every day, and the trend toward shopping online straight and even getting there direct from social media sites continues to grow. Already, companies without a social media presence are starting to seem irrelevant. Of course social media platforms are packed with all kinds of people, but as the leader of an ecommerce business, you probably know that most of those people shouldn't concern you. Instead, your main source of growth is going to come from the golden and sometimes elusive "warm" customer. Related Article: YOUR Next Level E-Commerce Strategy? You know who these people are: people with whom you already have at least a fledgling relationship. They know about your brand; they may follow you on social media; they just haven't bought anything -- yet. Though other customers have their good points, "Goldilocks" should be your focus when you're building up your customer base. Aim for the porridge that's not too hot (current customers who have already bought), not too cold (people with no knowledge of or interest in you), but just right. The problem is, it can be tricky finding these warm customers. Sure, you're checking your follower lists and website traffic. But what exactly do you look for? What can you do to help them take the next step and buy? 1. Take advantage of all of Facebook's nifty tools. Though most companies have a Facebook page and use the platform for paid advertising, few have taken the time to figure out how useful some of the platform's analytic tools actually can be. If you set up a Facebook pixel to track your website traffic (and online store purchases), you can later use that data to target your social media advertising directly at the people using your site. You can also use Facebook to create lookalike audiences, where you take an audience you already know (people who have already purchased from your store, for example) and set Facebook to target users most similar to that audience. This means people of a similar age, interests and demographics; these are the audience members already "warmer" to you than the average Joe. Last, you can create audiences on Facebook based on their engagement. Target people who have interacted with your Facebook page or Instagram business profile before, and you'll be able to catch those leads who find your brand attractive enough to have checked out your social media presence. 2. Make impulse buying easier on Pinterest and Instagram. Very often, "warm" customers are already following your social media channels or looking at your posts; they just haven't committed enough to take the plunge and buy. Platforms like Pinterest and Instagram, used in the typical fashion, add lots of steps to the buying process and make it difficult. If your potential customers have to click through a generic link in your Instagram bio, then search up the item they want on the site itself, odds are they aren't going to make the effort. Luckily, new features on both Pinterest and Instagram enable customers to buy products straight from the app. So, start using product pins on Pinterest, and make sure that your website is optimized for the Pinterest buy button. Instagram's equivalent feature, Shopping on Instagram, lets followers buy straight from the feed. If you use these tools right (and don't overuse them), your "warm" customers will find it much easier to give your company a try. Related Article: Everything YOU Need To Know About IGTV? 3. Get people to engage by running a promotion or contest. Amazon CEO Jeff Bezos once famously said, "Your brand is what people say about you when you're not in the room." In that light, your goal on social media should be to get your customers to do the talking for you -- in a good way. One of the most effective ways to engage current (and prospective) customers is by running a promotion or contest on your channels. Followers may share this with their friends, who'll share with their friends; and before long you'll have a long list of referrals -- of "warm" customers. Lance Essinos, online marketer and host of The University of Adversity podcast, said you get bonus points if you expand your promotion to include other businesses. When I reached out to him for comment, he replied in an email: "People are much more likely to act on advice or recommendations from friends they trust. "That applies to normal referral situations, but it also applies to cross-promotions with other businesses," Essinos wrote. "In effect, the other business has a big group of friends that like them and follow them, and they're recommending you and your business to that friend group. It's a total win-win for creating good relationships with customer leads"
Related Article: Social Media Marketing To Younger Generations? 4. Become a thought-leader in your customers' sphere. One of the biggest characteristics "warm" customers can offer you is that they're often looking for information and answers, but not products.. at least yet. As Facebook's Mark Zuckerberg once said in an interview with Time magazine, "Advertising works most effectively when it's in line with what people are already trying to do." "Already trying to do" are the operative words here; they describe "warm" customers trying to find answers to their problems. These are people willing to go to a little effort to find the information they need -- so you need to be there with the answers. Start a blog and focus your content on helping to solve their problems. Boost the exposure of your posts by publishing or sharing on your social channels. The more unique and high-quality your content is, the more awareness and loyalty you'll get from your customers. Soon enough, they'll be buying things on your site. Guest Authored By Lucas Miller. Lucas is the founder and CEO of Echelon Copy LLC, a media relations agency based in Provo, Utah that helps brands improve visibility, enhance reputation and generate leads through authentic storytelling. Follow Lucas on Twitter.